Mobile Order is now available to guests at the Electric Umbrella in Epcot’s Future World. The rollout at Epcot will continue with it being available at the Liberty Inn on August 7th. Mobile Order allows guest to pay for meals within the My Disney Experience app, bypassing what can be a lone line to order at the restaurant. Using the app, guests can select menu items, customize an order and pre-pay for a meal. Mobile Order is currently available at Electric Umbrella, Columbia Harbour House, Pecos Bill Tall Tale Inn & Café, Pinocchio Village Haus, Cosmic Ray’s Starlight Cafe, Tomorrowland Terrace, Flame Tree Barbecue, Pizzafari, Restaurantosaurus, Satu’li Canteen and D-Luxe Burger. It’s been incredible to see the guest experience transform over the past four years since Walt Disney World first launched My Disney Experience in 2013. 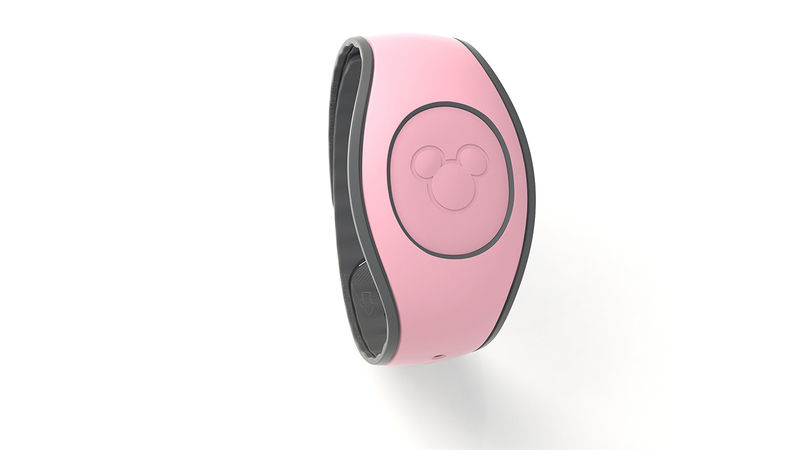 From the FastPass+ service to MagicBand 2 and Mobile Order, Disney is always exploring new opportunities to make a Walt Disney World Resortvacation even more convenient and more magical. 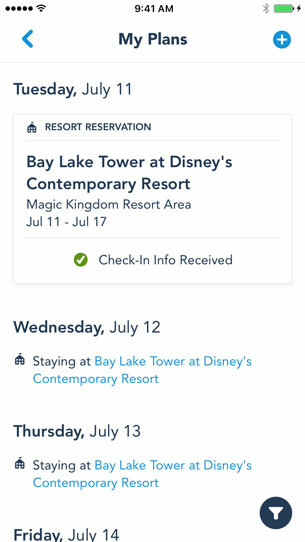 Earlier this year, Disney unveiled a redesigned My Disney Experience app with new features that spoke to guests’ desire for an easier way to access all of their vacation plans. 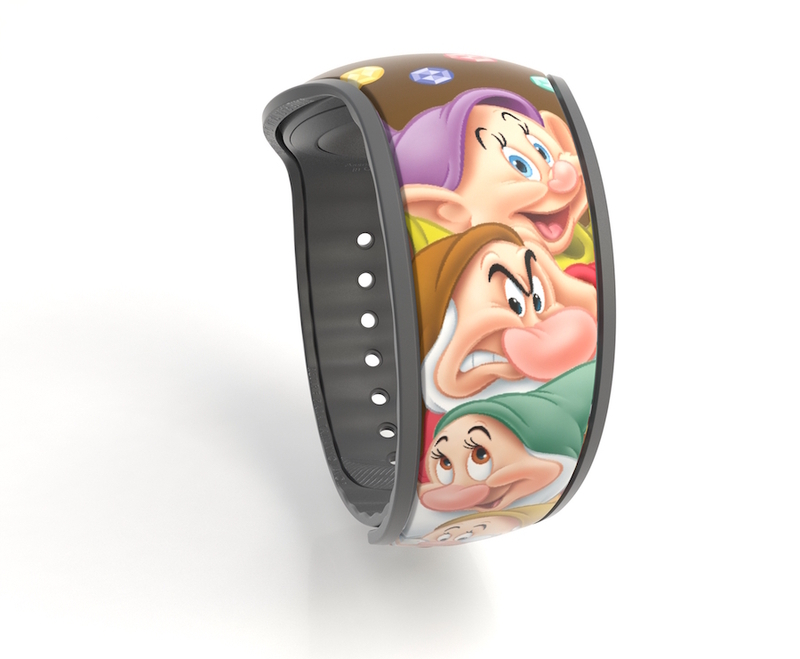 Today, Disney is bringing yet another feature to the app: Online Check-In. 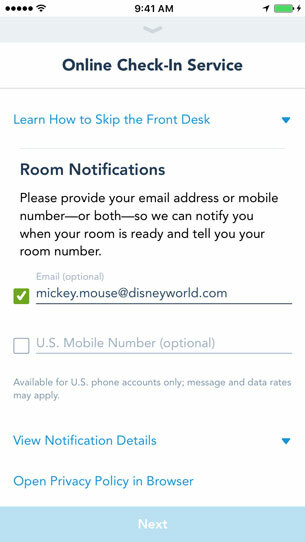 With just a few taps of the screen, guests can make room requests, add credit card information and authorize charges, submit an estimated arrival time to help prompt room access, receive a notification when your room is ready and more. Please note that room requests are not guaranteed and guests must provide consent to receive notifications. The best part? 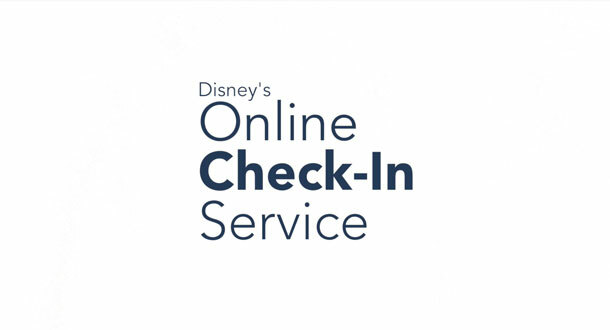 Guests can begin the check-in process at any point up to 60 days prior to your arrival date – even minutes beforehand as you’re transported on Disney’s Magical Express to your resort hotel. Here is a short video that also explains the online check in process using the My Disney Experience App.